When it comes to payment formats you shouldn’t make life more complicated than absolutely necessary. After all, there are a whole range of functions that can be applied out of the box. 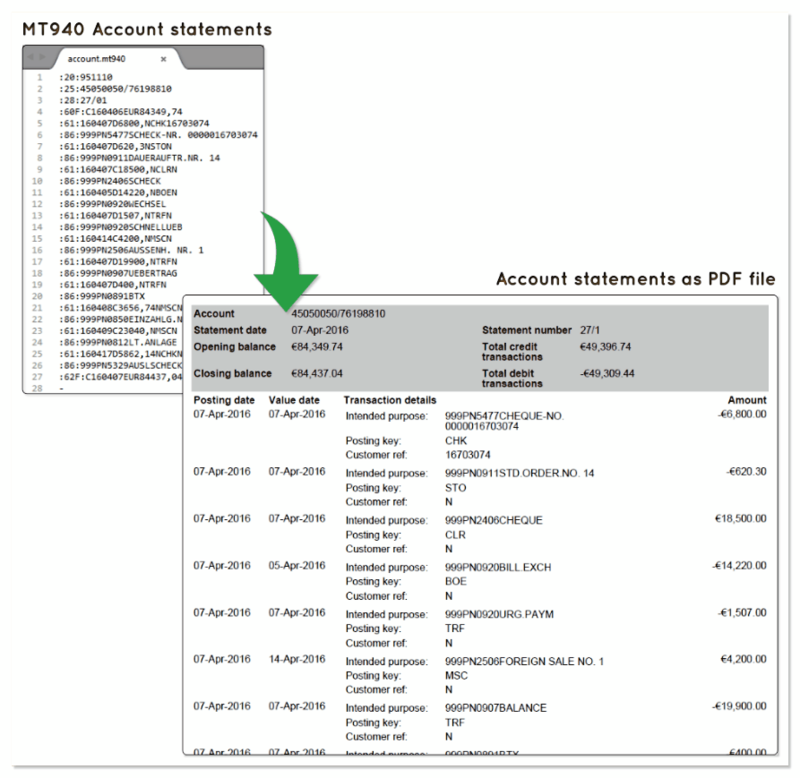 The conversions cover all standard cases for handling files as part of the communication with the Bundesbank. All obligatory changes to the character set are automatically taken into account — depending on the conversion. As practical as the file formats for computers may be, they are not suitable for direct viewing. This also applies to archiving. PDF files that can be viewed at any time without complicated conversion are helpful here. When processing payment files with several logical files many systems or processes reach their limits. It is great that the Format Converter also solves this problem. The program handles the separation — referred to as splitting — of payment files with several logical files into individual physical files. The splitting can be adapted to your own needs. So it can be split e.g. by account number, sort code, account holder, reference or creation date. 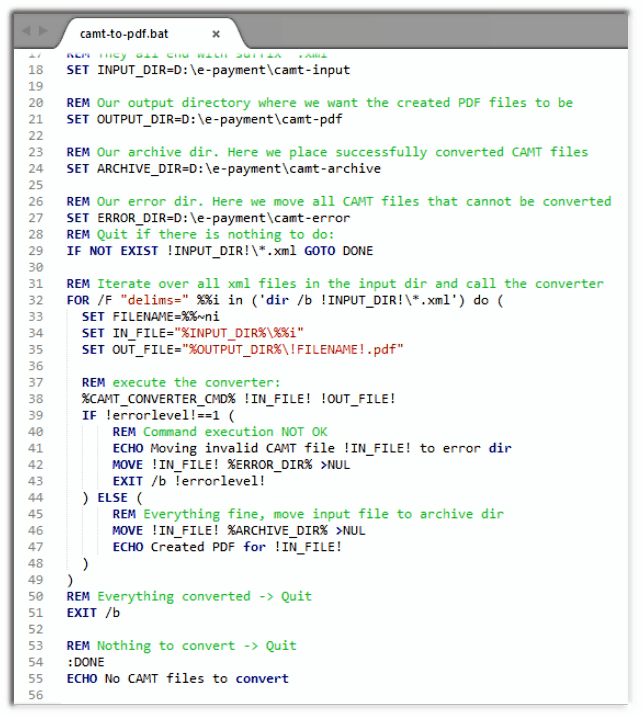 Splitting is available for the file formats MT940, camt.052, camt.053, camt.054 and for DTA/DTAUS. Thanks to platform-independent implementation in Java™, the program can run under Windows®, Linux® and Mac OS®. By calling up the command line, using cron job/scheduler, via script or from other programs, the software is available to all of the company’s business processes. The only requirement for the program is a Java™ runtime environment that is available on all platforms. Thanks to easy program installation, it can be integrated into any system environment. The BL Format Converter is offered at a price of EUR 5,500 (net). The provision of future format conversions is guaranteed as part of a maintenance contract at a price of EUR 825 (net) per year.